Often I face a challenge to describe a place using just words. Luckily, my love to all things visual such as photo diaries and spontaneous videos comes in handy. Being able to go back and relive all feelings and experiences through those precious moments you captured a while back is the best part of a trip. After the trip itself, of course. 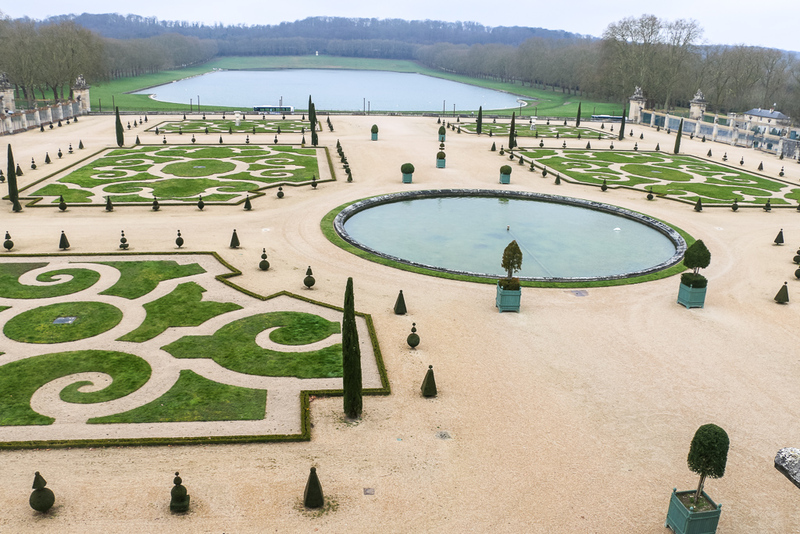 And so was the case with our one day at the Palace of Versailles. It has been good six months since we visited the place. 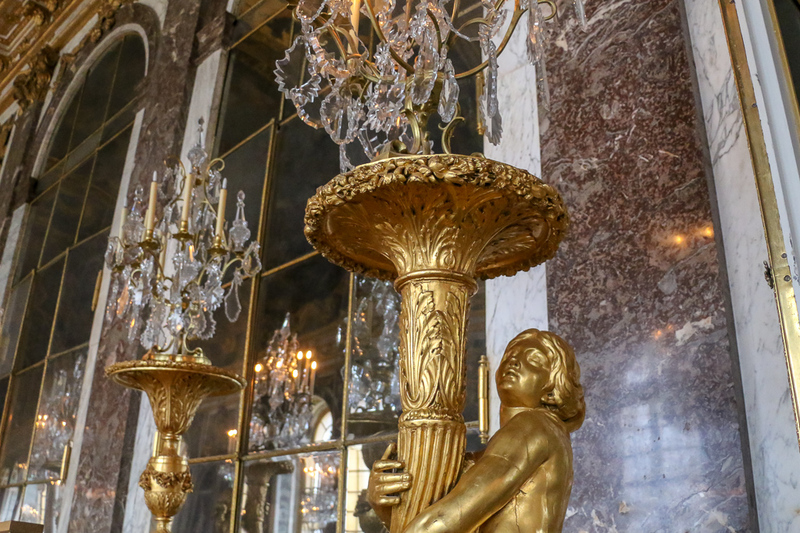 But going now through our Versailles photo diary, it feels like it happened just yesterday. 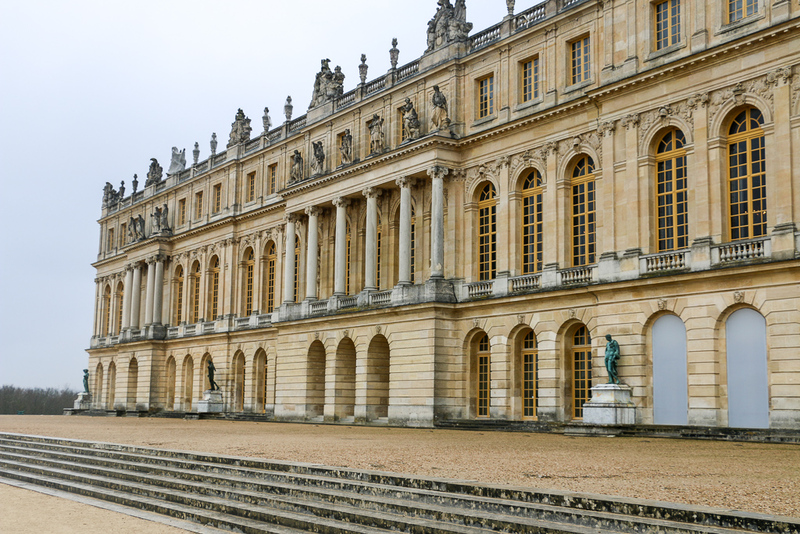 Our excursion to Château de Versailles was different from all our other trips. 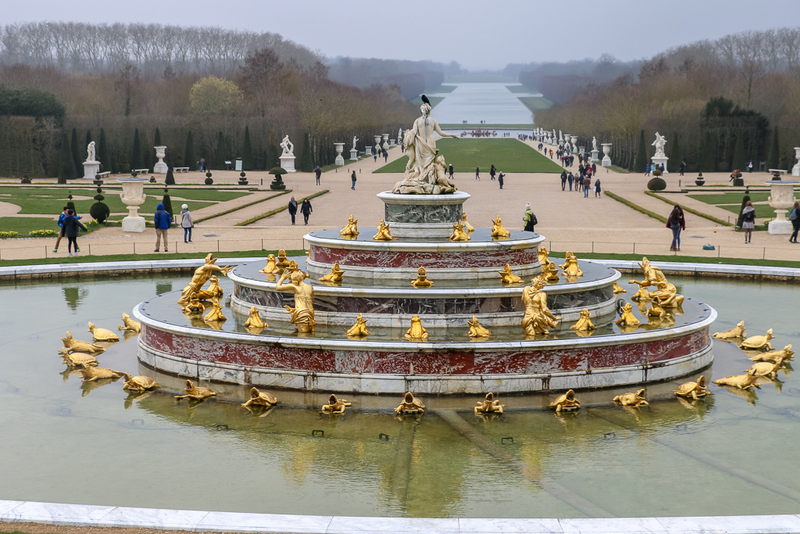 Usually planning any itinerary to a T, this time I left it to the mercy of my husband who a while back lived in Paris for a short period of time and still lives and breathes all things French. While taking care of accommodation and other travel related issues, he made one thing crystal clear. 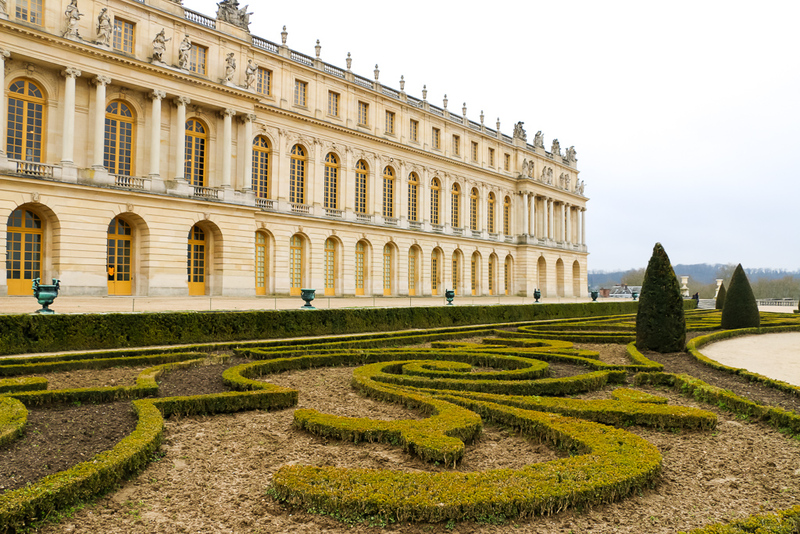 We would devote a day to the Palace of Versailles. 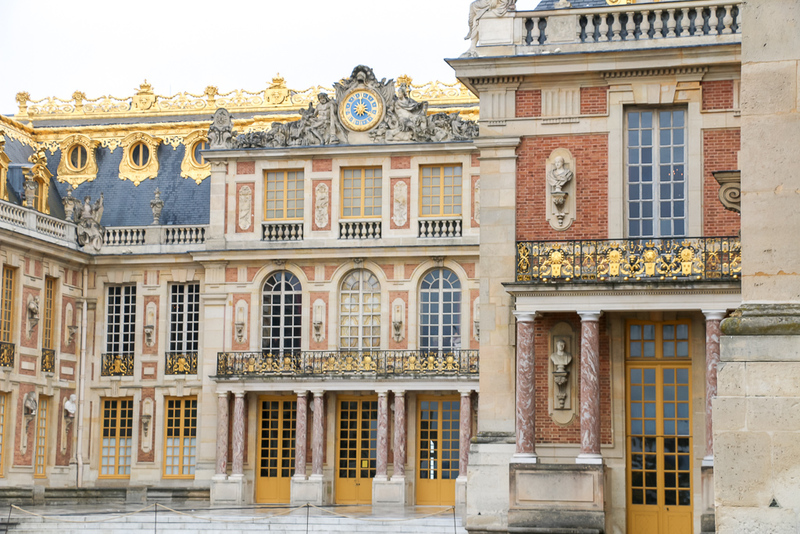 To prove his point, he even booked a hotel room at the city of Versailles, located just an hour away from Paris. 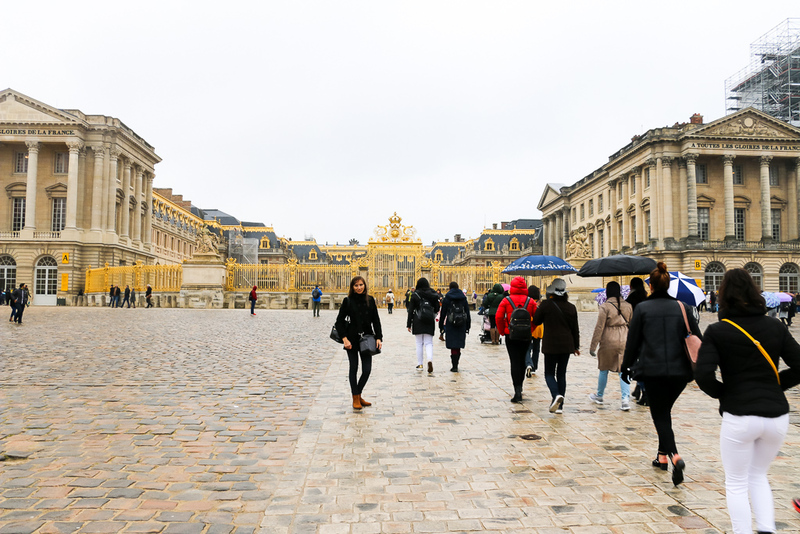 On the day of our arrival, Versailles was, as usually, busy with tourists, wandering around alone or in small groups. In attempt to beat the crowd, we had left the French capital very early in the morning. 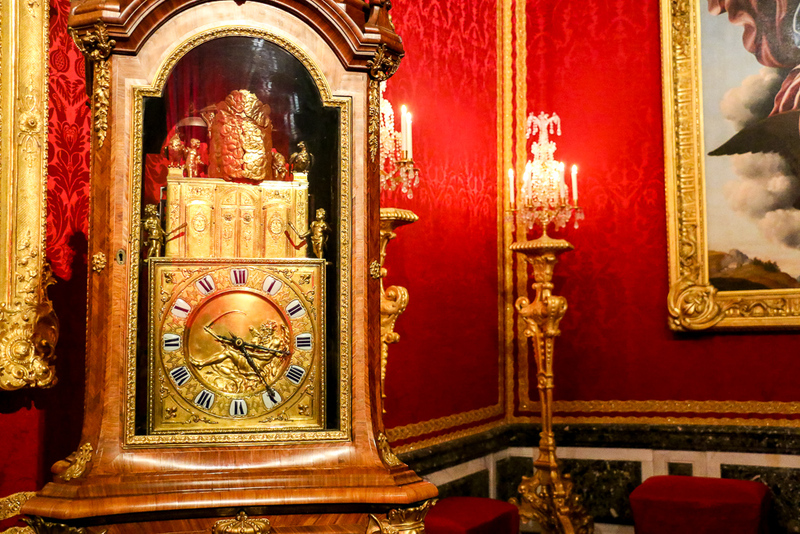 However, it took us a quick glance from windows of our Uber, pulling over in front of the palace, to realize how worthless our efforts were. A big, barely moving queue had already lined up at the entrance gate. Even unseasonably cold weather and heavy spring rain did not seem to bother the awestruck visitors. Leaving the crowd behind, we proceeded straight toward ticket collector. 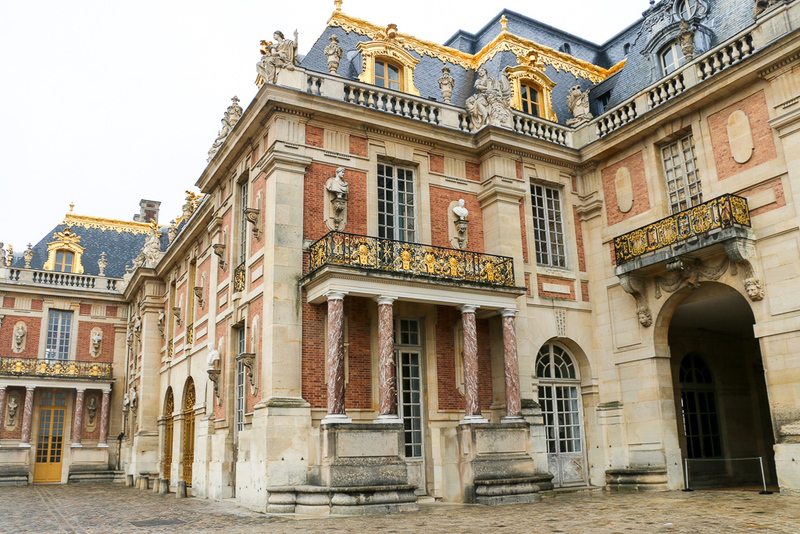 Thanks to my husband’s smart move to purchase the tickets online, we entered the territory of Versailles shortly after departing with our black Uber ride. And oh, holy moly! 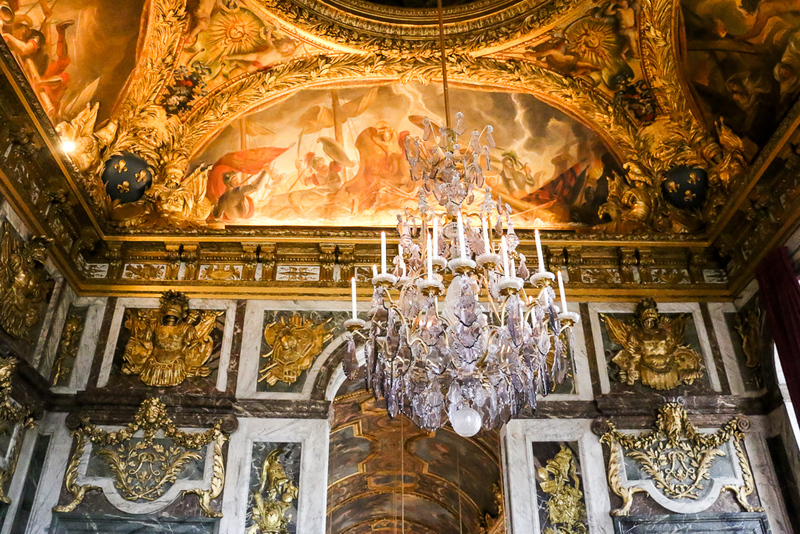 Right from the entrance, the palace of Versailles astounded me with its magnificence and size. 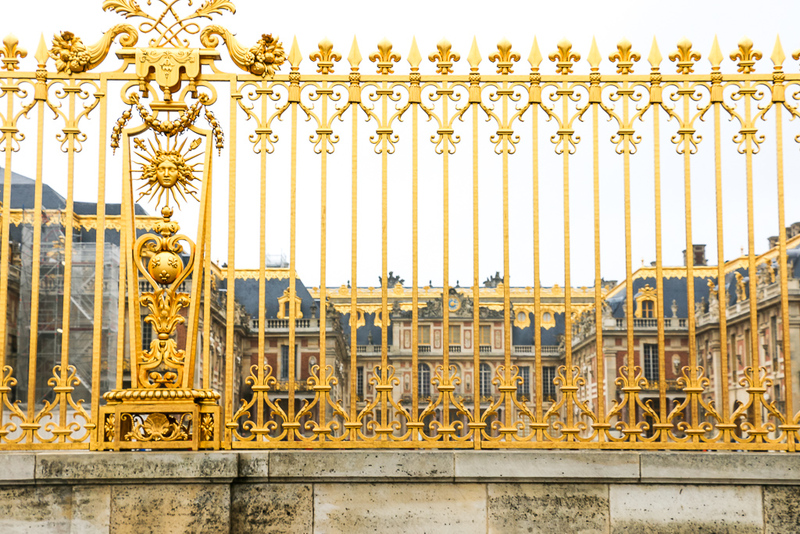 Here you will find a photo diary with short captions from our one-day visit to the Palace of Versailles. I hope you enjoy the journey and feel inspired to undertake your own! 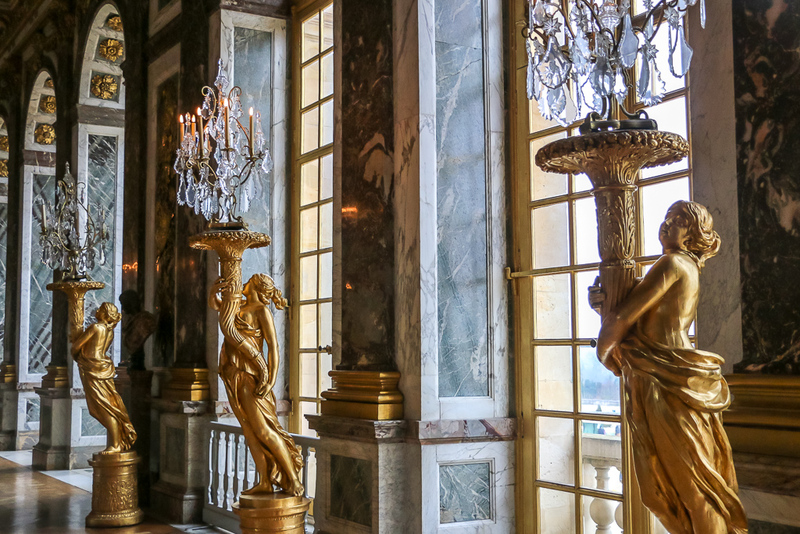 Even in the early morning, the Palace of Versailles was extremely busy. Luckily, we bought the tickets online and, thus, avoided the ever-growing lines. 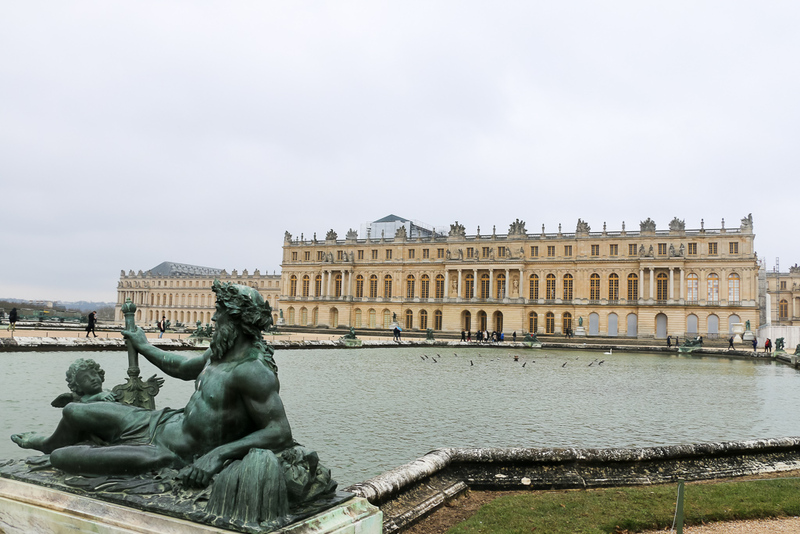 Versailles astounded me with its magnificent and size. 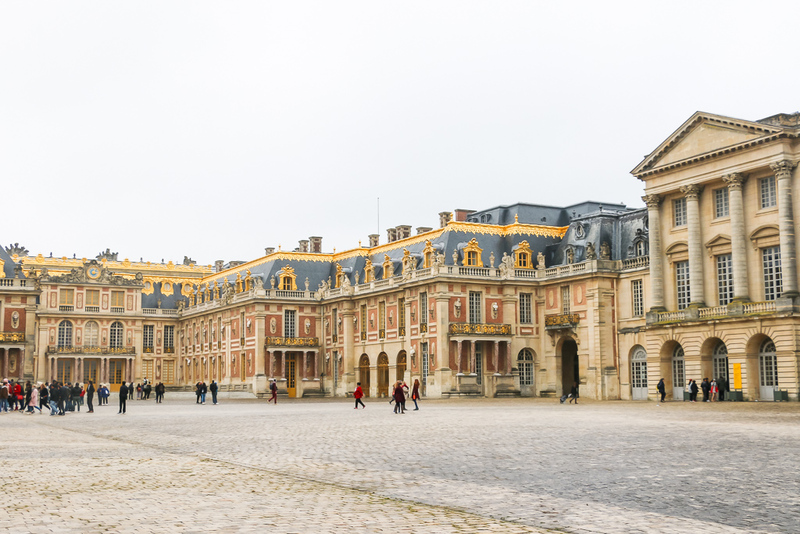 The Palace of Versailles is usually extremely busy. But from time to time, you are still able to take one picture without strangers in the background. The palace is incredible from every angle. Even the heavy rain could not keep the visitors inside. 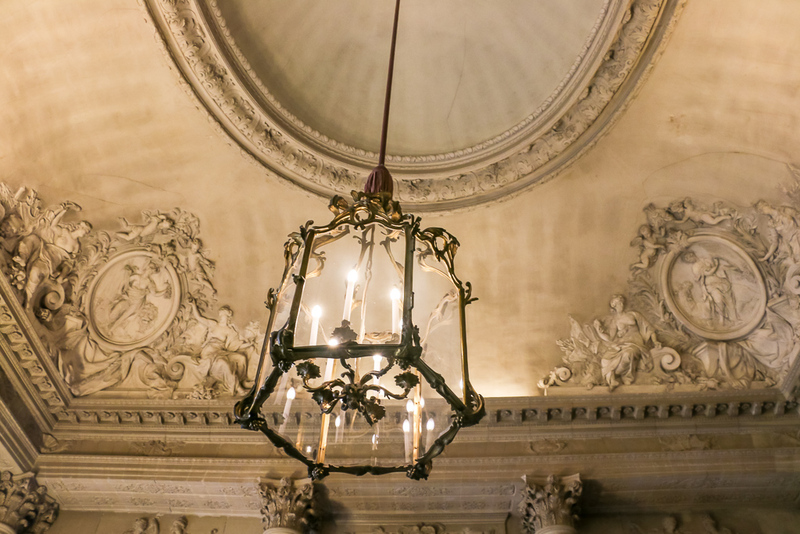 Once inside, we eagerly immersed into the artistic world of the Palace. 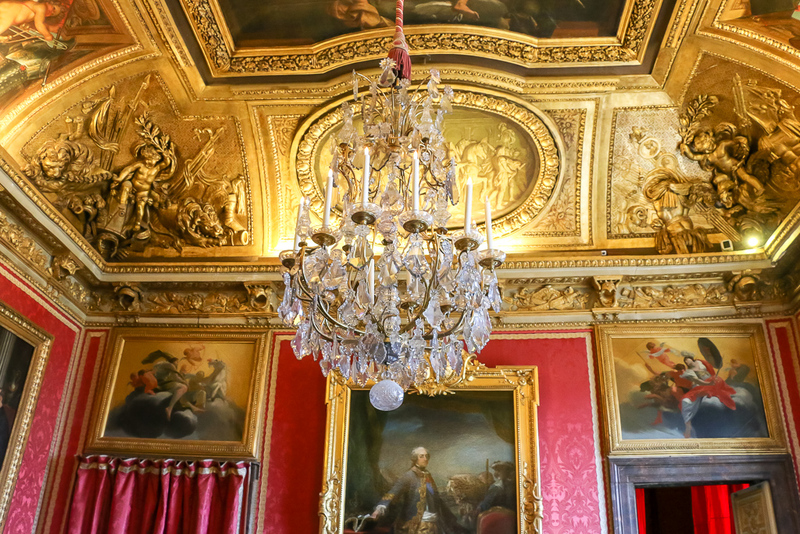 Here, I could not pas by another gorgeous chandelier without taking a picture of it. One of the first room we entered… It was small and overcrowded. We had to make a line to get out. Another gorgeous chandelier I had to take a picture of. 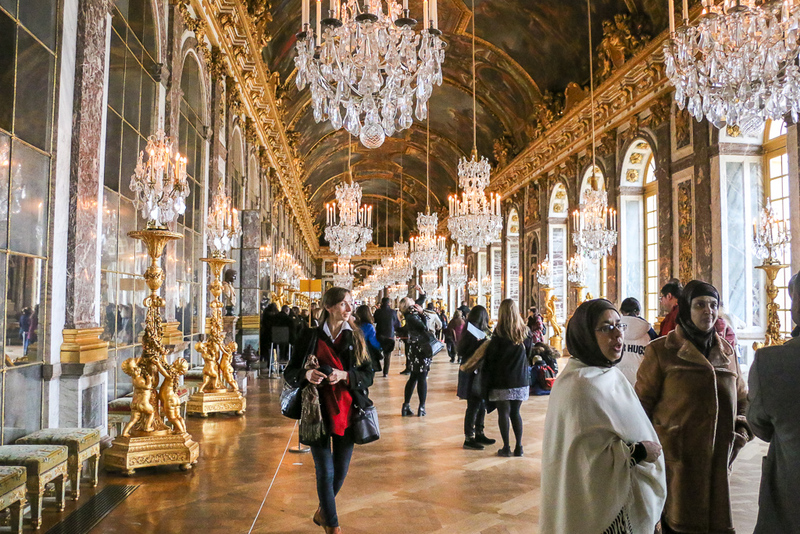 The Hall of Mirrors was build to replace huge terrace that opened into the garden. 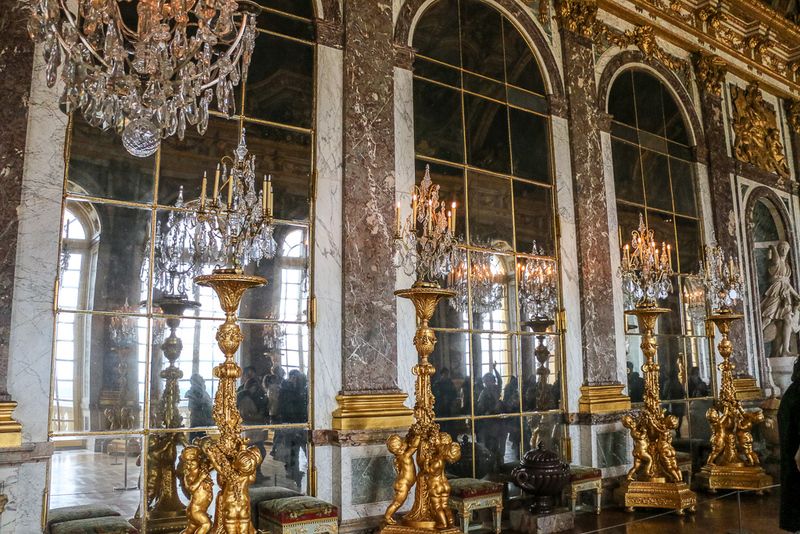 Can you see that I was slightly obsessed with the great details of the Wall of Mirrors. 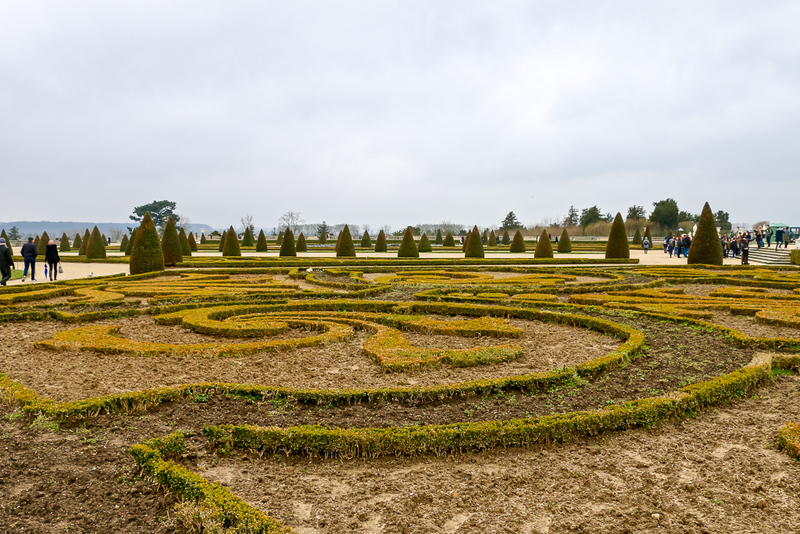 No visit to Versailles can be complete without seeing the Gardens of Versailles. Exploring all gardens, would have asked for extra free day. 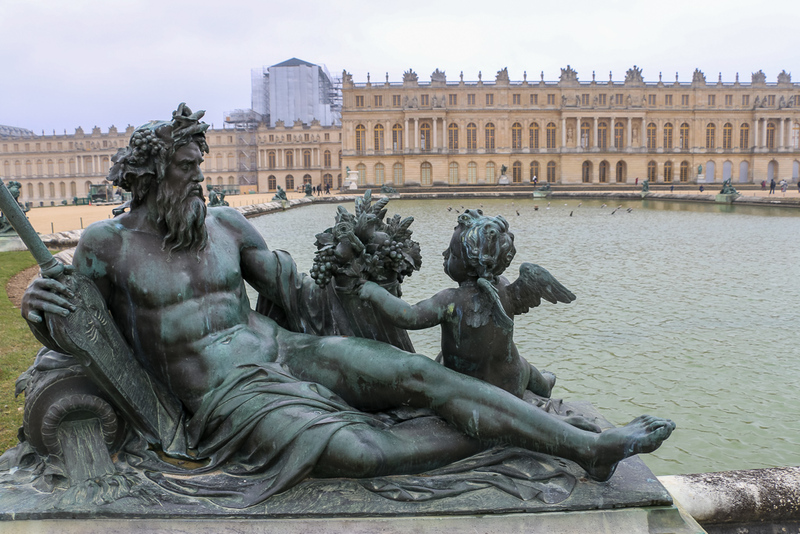 Massive statues add extra significance and charm to the gardens.